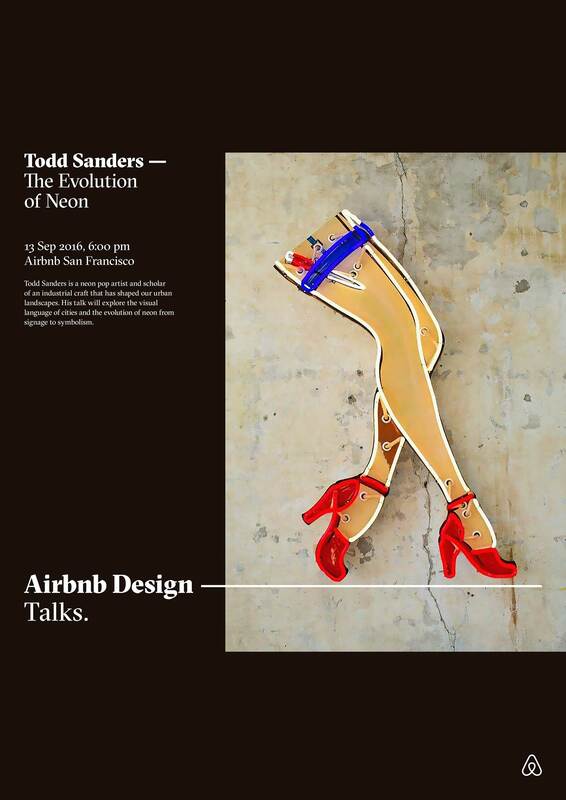 Todd Sanders is an American pop artist and founder of renowned neon gallery, Roadhouse Relics (featured in the New York Times Guide: 36 Hours in Austin). His modern vintage art, which Sanders describes as garish and over-the-top, has been exhibited in the Los Angeles Museum of Neon Art and Samuel Owen Gallery. His work has also appeared in films (including Robert Rodriguez’s Boyhood), on album covers, and in notable brand collaborations. In this talk, Todd explores the visual language of cities, the relationship between neon and urban revitalization cycles, and the medium’s ultimate evolution from signage to symbolism.